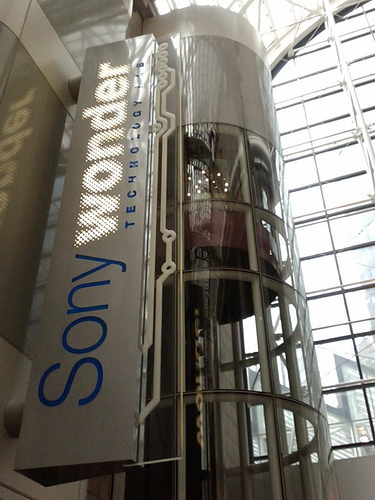 Sony Wonder Technology Lab is a FREE technology and entertainment museum for all ages. Explore exciting interactive exhibits in a dynamic, state-of-the-art facility that brings technology and creativity together to make learning experiential, entertaining and fun. high-quality, engaging and family-friendly learning environment. Experience audio technology and learn how it is used in a variety of careers. In the Medical Imaging Lab, discover technology’s role in modern medicine by experimenting with ultrasound and endoscopy, two imaging technologies used by doctors. As you travel past the Log-in Stations and down the Communication Bridge, the wonders of telepresence technology are revealed. At Sony Wonder, you can access the best in interactive design from painting a picture in the Image Lab to playing the next wave of video games in the PlayStation© area. At Sony Wonder, you log onto a network which is the key to interactivity.